It’s warm out, which means it’s time to indulge in fun-filled activities, like biking and picnicking, and because we know mini-dresses aren’t always outdoor-friendly, we suggest breaking your favourite rompers out of the closet as the sensible and stylish alternative. ?Scroll through for nine genius ways to wear a playsuit, and be sure to shop your favourite looks along the way! On Alessandra Ambrosio: Show Me Your Mumu romper. On Chrissy Teigen: http://bit.ly/1pY4oeiRag & Bone Leather-Trimmed Wool-Felt Fedora ($175); Splendid Chambray Romper ($258); Valentino sandals. On Alexa Chung: Max Mara jumpsuit; Hunter boots. 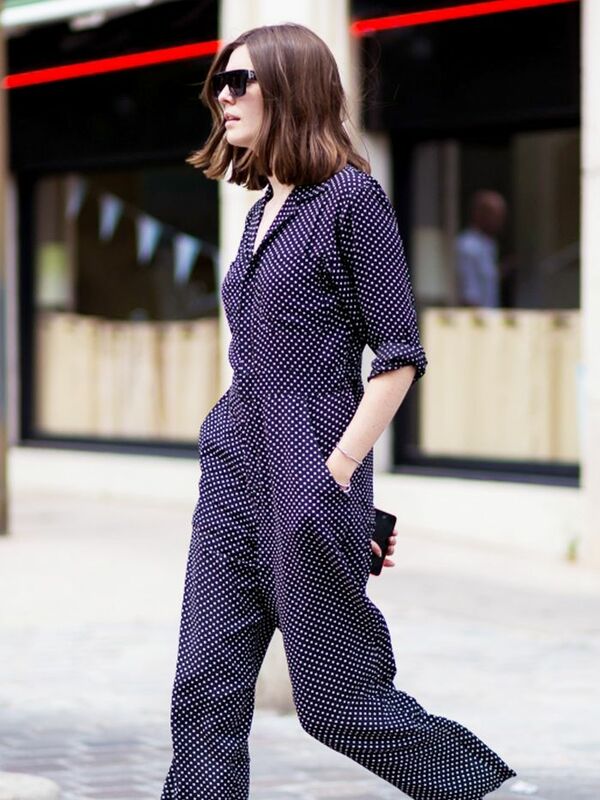 What Are Three Easy Ways to Wear a Jumpsuit? On Dakota Fanning: Current/Elliott The Ruby Romper ($218). How do YOU style your summer romper? Share in the comments below!